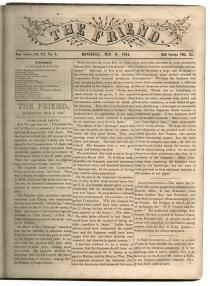 The Friend was the mouthpiece of Congregational missionaries and reported everything from important local Hawaiian issues to international news reprinted from eastern sources. 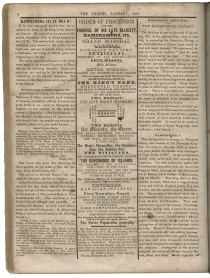 The nine months covered here feature a great deal of the news of the day, ranging from war between England and Russia to lots of whaling and maritime news including shipping arrivals and departures, the discovery of new sperm whaling grounds, naval intelligence, all peppered with a liberal dose of good old fashioned conservative proselytizing. 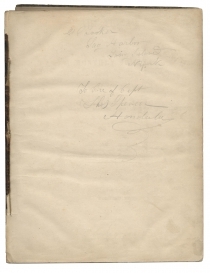 This particular volume was sent from Sag Harbor, New York to Thomas Spencer, a Rhode Island sea captain who went native, opening a successful ship’s chandlery and marrying a local girl. [HAWAII]. Newspapers. 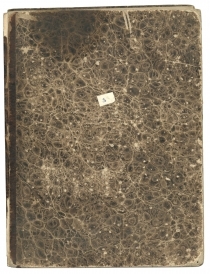 Bound volume of The Friend (Honolulu, HI) containing 22 consecutive issues dated from Feb 1, 1854 through Oct 25, 1855. 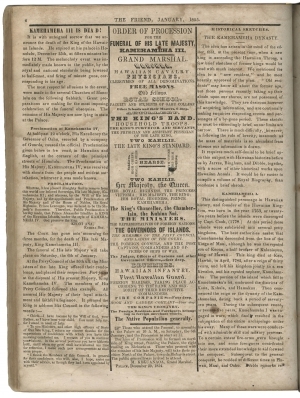 This volume has the first report of the death of Hawaiian King Kamehameha III, including the order of procession (Jan 1, 1855 issue) and the first report of the signing of the US-Japan Treaty negotiated by Commander Matthew Perry (May 6, 1854 issue), and an Independence Day celebration (July 6, 1854 issue). 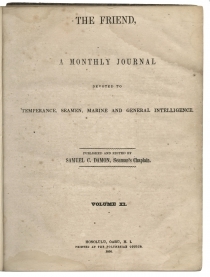 Thomas Spencer (1815-1884) was a whaling captain out of Warwick, Rhode Island. He was stranded in the Sandwich Islands (Hawaii) and decided to remain there. 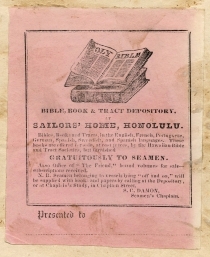 He opened a very successful ship’s chandlery in Honolulu and later purchased property on the “big” island in the village of Hilo. His brothers also joined him in Hawaii. He was a notorious celebrity, well-liked by all, and especially supportive of the Hawaiian royal family. He is buried in Oahu. 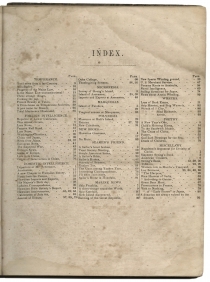 The children of Thomas Spencer and Makaleka (Margaret) Robinson were Thomas Spencer Jr., and Charles, Lucy, Jennie, Lily, Helen, Margaret, and Kaliko Spencer.